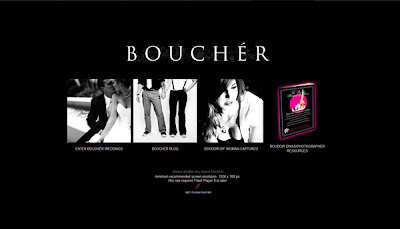 Bouchér Photography: Our new website has launched for 2008, Check it out! Our new website has launched for 2008, Check it out! NOTE: IF VIEWING THE BOUCHÉR WEDDINGS SITE ON A STANDARD MONITOR (NON-WIDESCREEN), YOU MAY WANT TO VERTICALLY DOWNSIZE(SHRINK) YOUR BROWSER WINDOW. VERTICALLY DRAG THE BROWSER WINDOW FRAME FROM THE TOP DOWN ABOUT 20% IN ORDER TO VIEW THE SITE AS DESIGNED WITHOUT ANY IMAGE CROPPING. It's still in it's infant stages as far as photo gallery content but hopefully in a couple weeks we'll have much more uploaded for your viewing pleasure. Until then, there's all sorts of fun stuff on it right now to hold you over. Such as silly videos and photos of me and Riss, new testimonials, a recent wedding with Alexa & Matt, etc. We're super excited about the site because we finally are able to showcase our work as intended, in large format. Our old site only displayed at the size of a 4x6 print so we're ecstatic about the billboard-like size and visual impact of the new one. You guys rock. I love the new site through and through. Cool layout, images, video, bio..."Fourth Man in the Fire" - are you kidding me?! You're awesome and I look forward to hearing about all of your future success! Yeah! You guys ROCK!!! I love your work and I love love LOVE your new site. 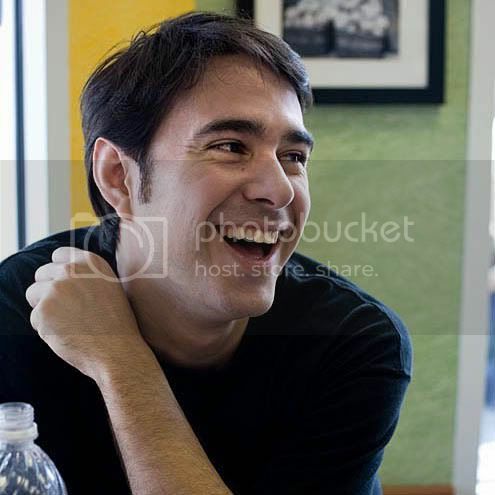 Your work is amazing and the new site really showcases your style, personality, and the overall love for what you do. Congrats! The website looks fantastic! You both are so talented and this new design really captures your amazing talent and fun personality! I love it!